GALVESTON – On Tuesday, December 3, 2014, Judge John Grady of County Court at Law #1 found Audon Martinez guilty of Possession of an Illegal Fishing Device and sentenced him to 70 days in the Galveston County Jail. Texas Parks and Wildlife Wardens Bobby Kana and Ray Canales reported that on November 13, 2014, Martinez and co-defendant Richard Mancuso were seen removing fish from illegal gill nets and loading the fish into a truck. Wardens reported that they subsequently stopped the truck and found 121 fish inside. Both men were charged with Possession of an Illegal Fishing Device. The Wardens reported that another 127 fish were found in the gill nets when they were removed the following day. 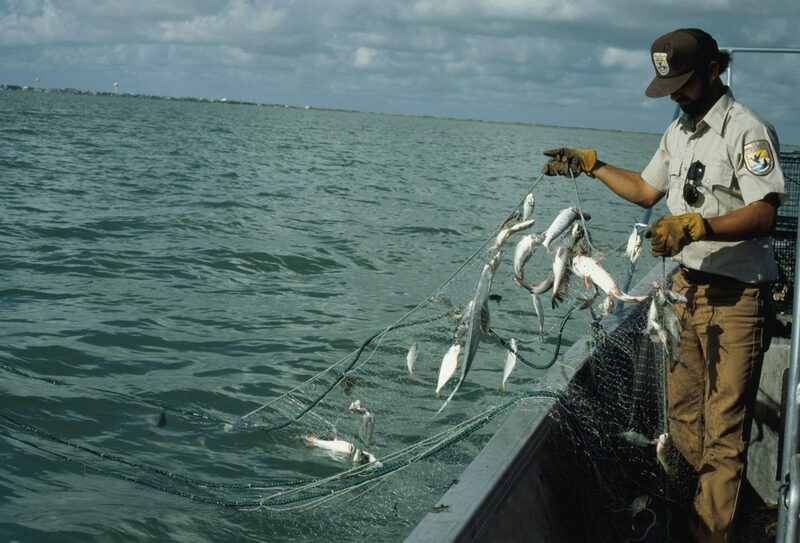 The number of fish recovered far exceeded the amount permitted under the law. Approximately two weeks after the incident, Martinez pled to the charged offense and was sentenced to 70 days in the Galveston County Jail. Mancuso’s case is still pending.